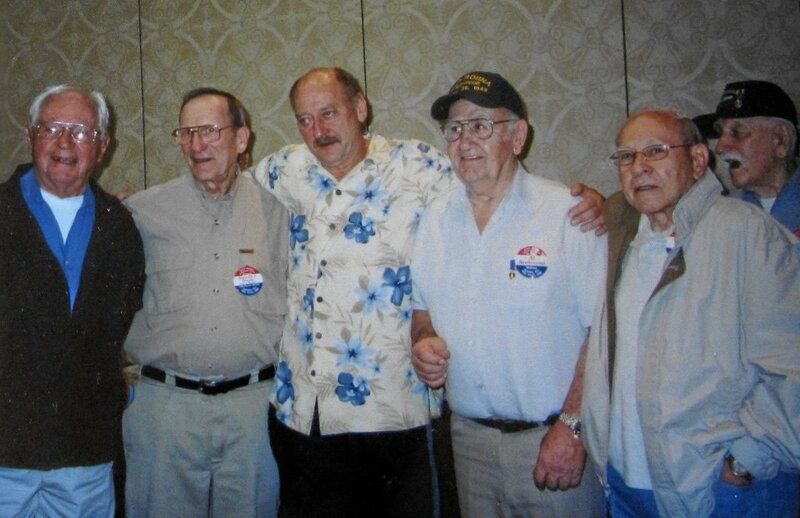 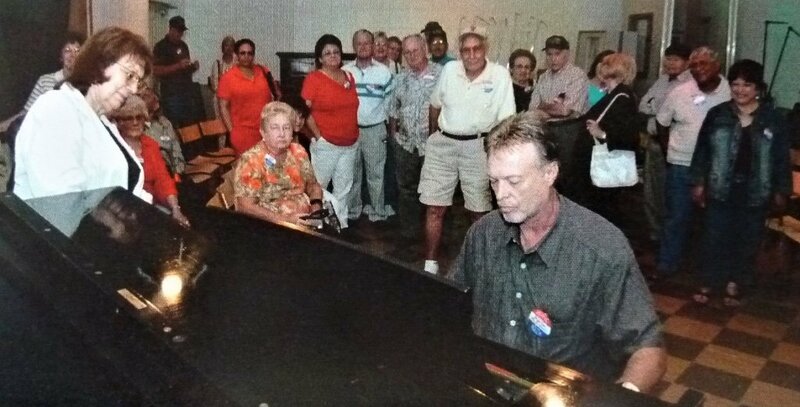 Click to download Shawn Dochtermann’s speech given to the men at the Washington, DC 2004 WWII Dedication reunion. 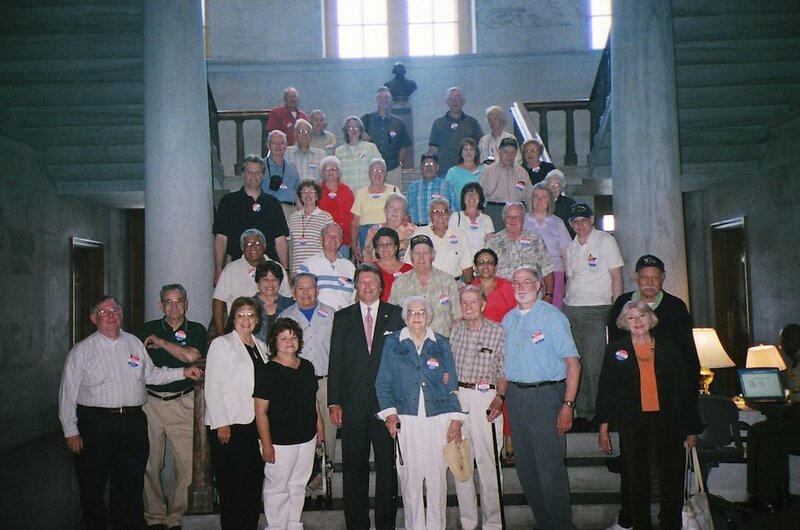 Then, Tennessee Rep. Steve McManus (5th from left, tall man in suit and tie) with Rohna survivors, KMF-26 Convoy members and their families In the Tennessee State Capitol. 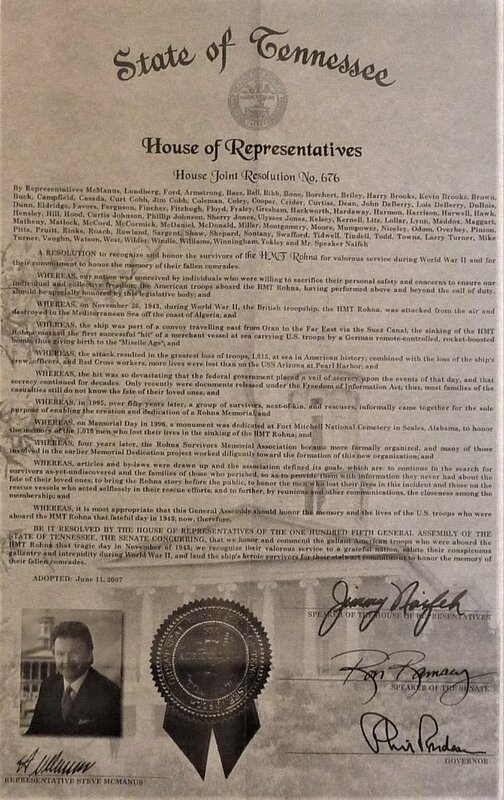 State of Tennessee Joint House Resolution 676.